A great year has passed, 2014 was a very productive year for me. When it (year) began I wrote down a few goals I wanted to achieve and to my surprise, I achieved them and a whole lot more. Year 2014 has given me a lot of lessons about my music career, and I have faced a lot of challenges but that didn’t break my spirit to carry on doing music. 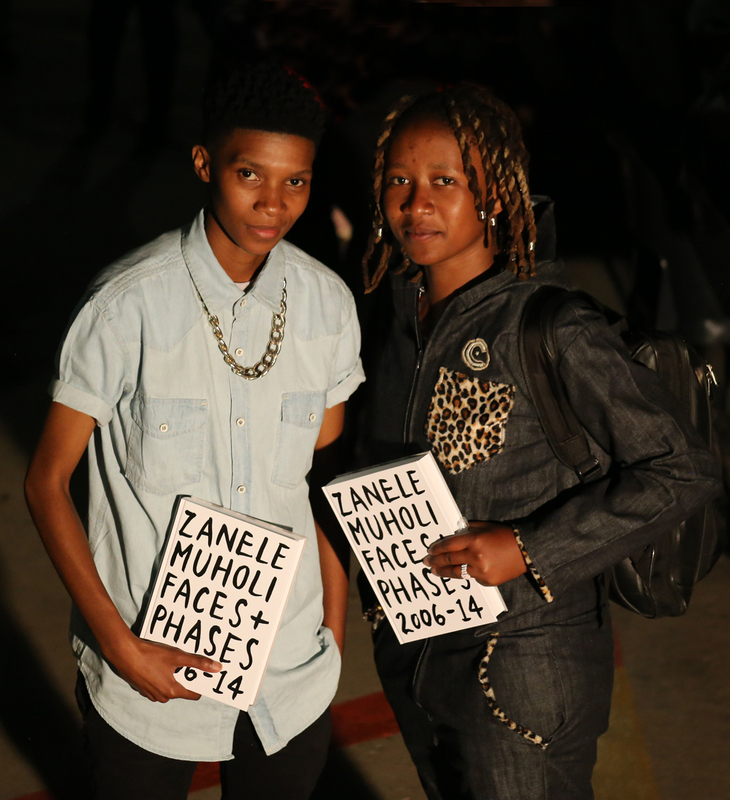 My greatest achievement in the past year includes earning the tittle of Mr Lesbian Daveyton 2014, being featured in Zanele Muholi’s book, Faces and Phases 2006-14, and not forgetting my music career growing. Year 2014 was not all great, as I also lost my cousin, a patient and my dog (Rex). I woke up the morning of December 29 2014 with a smile on my face. Not because I was going to Durban, but because I was going with my inkanyiso crew. I had arrived late in Johannesburg (Parktown) the previous night were we all met. On my way there I witnessed taxi drivers in a physical fight not even thinking about their passengers. When I arrived in Park Town I met Lebo Mashifane for the first time, she is such a pure soul and we connected like we knew each other for a long time. After a few minutes we were joined by, Katiso Kgope, Collen Mfazwe and her girlfriend Nonkululeko Sandiba. On the morning of departure we prepared ourselves, but as usual, our father Muholi was the last one to come out. So we went to fetch Charmain Carrol, Akhona Hailele and her girlfriend Zandile Makhubu. When we returned Zanele had still not come out, after several minutes she came out. While she dragged her luggage Phumlani Mdlalose took a video of our movements. Finally we left Joburg and Lebo blessed us with a short prayer for our journey. Zanele hired a taxi with a great driver, making the road trip a great experience. We took pictures at every stop; talked, laughed and had short naps while the sun was blazing. When we arrived in Durban we drove past the beach just to see its beauty and smell the breeze. We then went to Zanele’s warm home in Umlazi, were we met her sisters, nephews and nieces. The first thing we did when we arrived was a meeting, to talk about chores and what we want to do for entertainment and also help each other to avoid conflicts and drama. Later that night Charmain cooked us a great meal. The next day we woke up very early, the weather was drizzling but that didn’t stop us from going to the beach. When we got to the beach, I had to first ask my ancestors (amadlozi wase manzini and umnikazi wamanzi) if I could swim and have fun because if I didn’t, they might take me under the water. After that it was splash in the water and it was so soothing and refreshing. We took pictures and Zanele suggested we dig holes and bury ourselves with our heads out. While I was digging mine I felt something moving, when I looked, it was a crab. I greeted it, because it was a good sign from my ancestors, Zanele captured its movements. Later that evening we returned to Umlazi. While we were waiting for midnight we had a few drinks while some danced. We had fun and it was great seeing Zanele dancing. When 00:00am struck I went outside, said a short prayer, then it was fire works everywhere. The view in Umlazi was extraordinary; Lebo and I climbed on the roof to get a proper view, while our phones kept on ringing. On New Year’s Day it was back to the beach with Zanele’s family and we met Collen’s friend Lebo Memela and her family; she has a sweet mother who reminded me of my own mother. I wish all parents with homosexual children would love and support them. The next day we were invited to Lebo Memela’s house for lunch in KwaMashu. When we got there, a table was set and we were hungry and Lebo’s mum offered us mouth-watering food, before serving beverages. 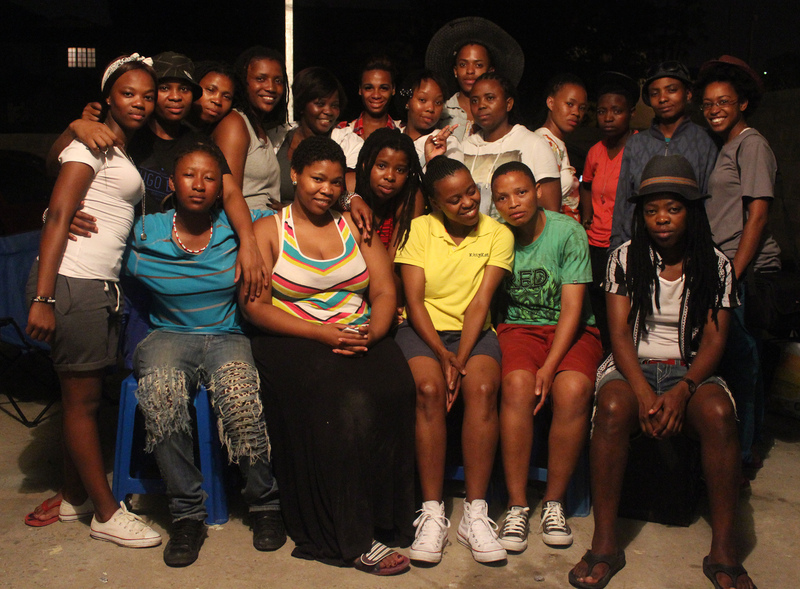 On the 3rd of Jan 2015 we went to meet ugogo nomkhulu Menziwa, who are both lesbian. It was fascinating and an eye opener. Gogo shared a story of how they met, then mkhulu blessed us with one of the songs he wrote, whil I shared a few lines from my LGBTI song about justice. I was pleased to hear that mkhulu agreed to work with me on a song when he is feeling better. I love and respect old people because I believe without them our generation is lost. Later that day Zanele’s friend Lu Cele invited us for a braai (we had drinks then there was a little misunderstanding about our drinks but we sorted it out the next morning and apologized to Lu). On the first Sunday of 2015 we went to Victory Ministries Church International (VMCI) a church with individuals like us. The church service was great, warm and welcoming. It started at 11:00am and finished at 4pm. It felt like it was less than that because it was fun and educational. It is great to be part of a church that you won’t be uncomfortable about being homosexual. Later we went to Musgrave Mall and had supper then when we got home, the girls went out partying since it was our last night. While the ladies went out, we as the boys sat and finished our last few drinks then it was off to bed. The next morning we prepared for our departure, Zanele, Lerato, Charmain, Phumlani and Zanele’s two sisters accompanied us, they remained in Durban because of work. Goodbyes are not so great, but it was great being with everyone and getting to know them. My highlight about Durban was gazing at the awesome views the city has. I’m not really a person who does new year resolutions but I see myself getting my drivers license, applying for a VISA, working on our 2nd album, getting air play on almost every radio station, shooting music videos, finishing my studies, not letting anything stop me from achieving greatness. Since I’m turning 21 this year on September the 22nd, my fans and friends should expect growth in everything I produce. This is “20 Fit In” which means in everything I do I will fit in, and blend in like a chameleon. This entry was posted in Another Approach Is Possible, Archived memories, Creating awareness, Expression, Power of the Voice, South Africa, We Are You, We Care, We Still Can with/out Resources, Writing is a Right and tagged Activists, Akhona Hailele, Ancestors, Articles, artists, Audience, Beach, beauty, Being there, Black lesbians, Charmain Carrol, Collaborations, Collen Mfazwe and her girlfriend Nonkululeko Sandiba., community, Education, Experience, Expression, Faces and Phases participants, Family, friends, Fun, Homosexuality, Human beings, Inkanyiso crew, Johannesburg to Durban trip, Katiso Kgope, Laughter, Lebo Mashifane, Lebo Memela, Life, Living..., Love, Luh Cele, Muholi family, new friends, Parktown, Photography, Relationships, Requesting for freedom, Respect, Sea sand, Sexuality, Sharing experience, Thinking, Togetherness, Umlazi, Visual activism, Visual history, Voices, When Faces meet, Words, Zandile Makhubu, Zanele Muholi. Bookmark the permalink.